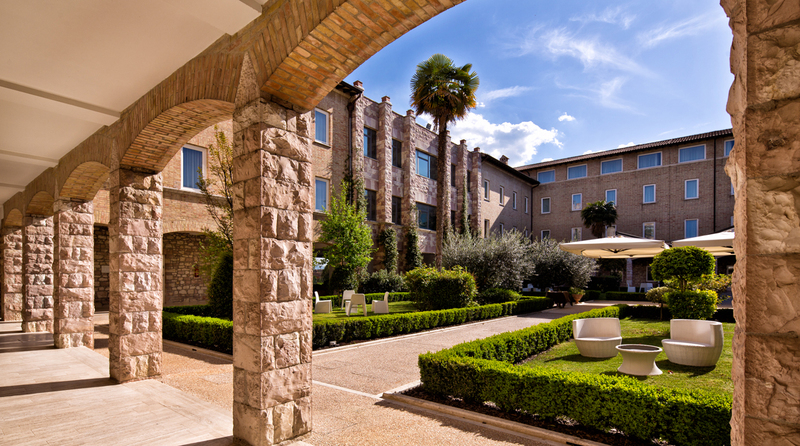 Hotel Cenacolo Assisi offers a wide array of fantastic services including: two restaurants, rooftop bar, quick meals and snack service, reading corner, chapel, large car park, electric bike rental, wellness room, and children playground. Cosy, warm and elegant tones, Ristorante Il Cenacolo offers an excellent catering service, brand Assapora, with a range of dishes from the strong evocative cuisine, in a relaxed atmosphere. In the Assapora philosophy, the food is first conviviality, occasion to meet someone; the ingredients are fresh and genuine and exalted by the expert touch of our chef, able to propose a typical cuisine with a modern twist.